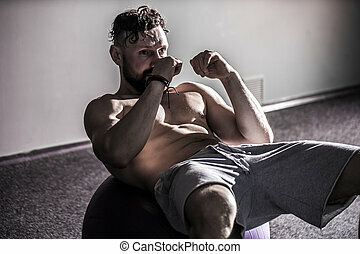 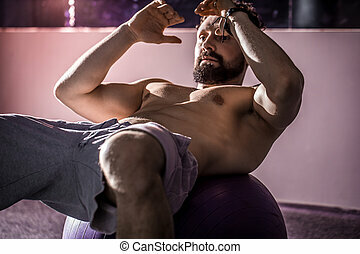 Adult practicing poses on exercise ball with professional. 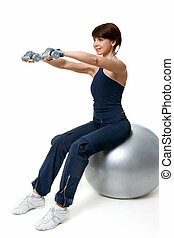 Attractive young blonde woman exercising on an exercise ball. 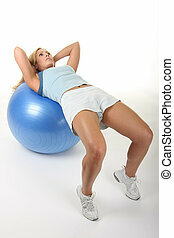 Fit young woman doing plank on a purple exercise ball.